Background: Romeo Y Julieta is another one of those companies that has stuck in the cigar business for what seems like an eternity, and for good reason. They have been consistent with their blends and for the most part have stuck with what brought them success for over 100 years. 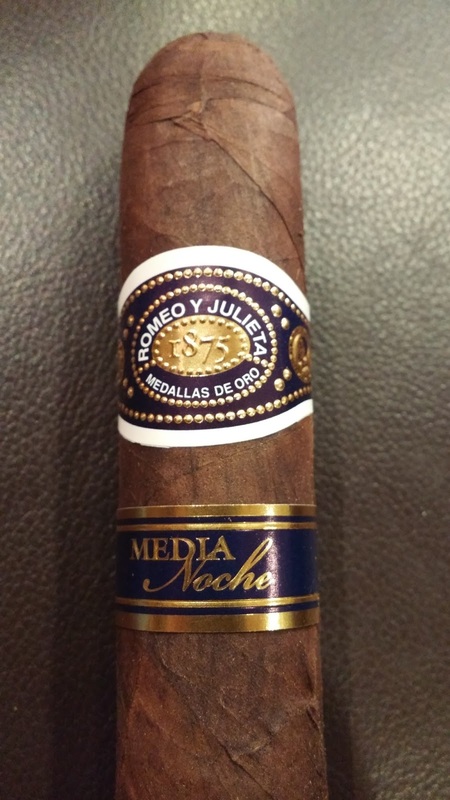 While all Romeo Y Julieta cigars may not be on our favorites lists, we have found that some of their newer offerings, such as the House of Montague, the Havoc, and the Romeo to be pretty outstanding. It’s nice to see a company with such a rich history embrace the ever changing cigar market instead of simply standing pat. 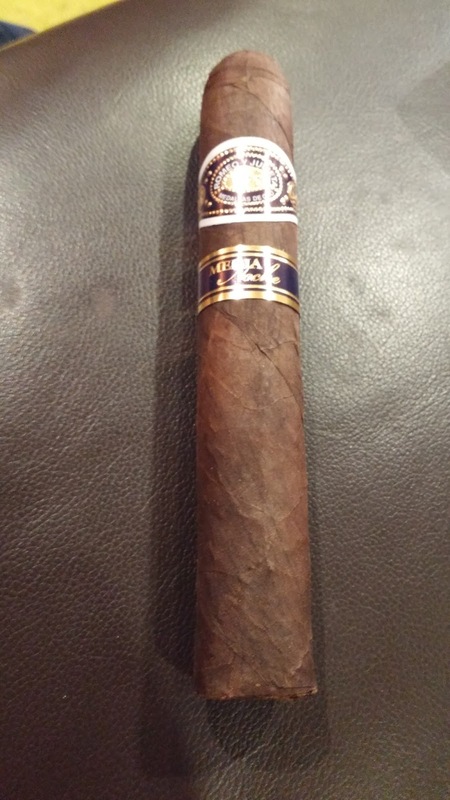 Appearance (0-20): The wrapper on the Media Noche has nice rich coloration but does have some slight derivations to the color. There are some slight veins and an almost rustic look to it, which to a small extent concerns me since the wrap itself appears a little loose. However that rustic look is complimented well with the gold and purple bands that scream royalty. When I first saw this particular stick among the other cigars around it, I was drawn to it to at least scope it out. Construction (0-20): I picked this up from the rack and it was immediately evident that Romeo Y Julieta did a great job with how the filler and binder is placed in there. It was firm to the touch and there were no areas where it felt over or under packed. There is a slight silkiness to the wrapper, but as noted in the appearance the wrap itself isn’t the prettiest job in the world. I was cautiously optimistic though, since there is very little debris on the cut. 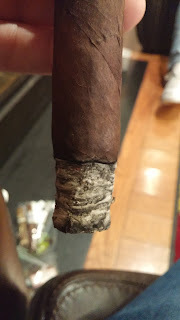 It turned out to be pretty well founded with the draw being perfect and the ash holding on for multiple inches at a time. However I did want to note that the burn ended up hot in the last inch and a half. Strength (0-20): Medium to full, and it sits very tightly in that range. I had some small derivations from that toward the end but primarily it was closer to full. Flavor (0-20): Make no bones about it; this thing smacks you with a blast of black pepper and bitter coffee immediately. The flavors are intense to begin but slowly fade back during the first third and allow others to meld in, like leather and roasted nuts. There is a very slight undertone of sweetness that just lingers on the back of the tongue that becomes slightly more prominent as you enter the second third. It begins to almost resemble a coffee and cream setup, with a little chocolate intermingled. 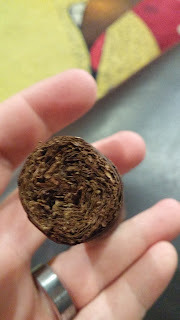 It’s a really nice combination of flavors that transitions to a cedar flavor in the last third. Value (0-20): $7.50 is a pretty good price on something that has this kind of flavor. Overall (0-100): The Romeo Y Julieta Media Noche is a powerful and flavorful cigar, no doubt about it. While the appearance and construction have some points where it slightly lacks, it forges ahead in both strength and flavor. The smoke is complex, bringing in pepper, bitter coffee, sweet cream, nuts, leather, earthiness, and cedar – all to varying degrees. The transitions are effortless and clear, the ash holds for an adequate amount of time, and the price is right around the correct mark. Romeo did a fine job on this one.